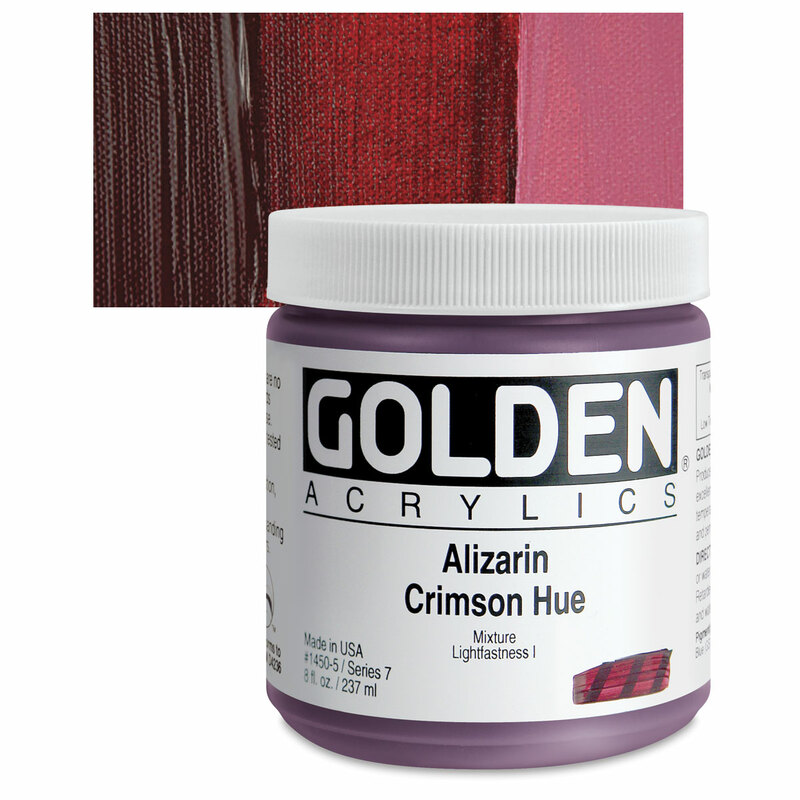 Quinacridone Magenta is a semi-transparent and powerful bluish red with an impressive mixing range. It makes an excellent glazing color and is one of the bluest of the Quinacridone colors. The pigment's properties vary considerably, depending on how it is ground. Quinacridone pigments have relatively low tinting strength in general. For this reason, quinacridone colors are often expensive, because more pigment is required in the formulation. Quinacridone Magenta offers very good lightfastness in most media, but some have argued that it is less lightfast in watercolor form. Although Quinacridone Magenta received only a passing grade of "fair" under ASTM test protocols, other test results have rated the pigment very good to excellent. Transparent reddish violet pigments in general have more problems with lightfastness than any other range of colors. PR122 is often used as the Magenta of CMYK (four color) process printing because it offers a better tradeoff between tinting strength and lightfastness than other pigments in its class. Quinacridone Magenta has no acute hazards. Overexposure to quinacridone pigments may cause skin irritation. Quinicridone pigments contain a compound found to be a skin, eye, and respiratory irritant. Quinacridone Magenta came from a red violet aniline dye that was first produced in 1858 by Natanson. It was called Magenta to commemorate a battle in Magenta, Italy. Over time, Magenta became the standard color name for a deep, violet red. Although quinacridone compounds became known in the late 19th century, methods of manufacturing so as to make them practical for use as commercial pigments did not begin until the 1950s. PR122 has become particularly popular in the formulation of Magenta for CMYK process printing. Acra Red, Quinacridone Violet (PV19), Thalo Red Rose. PR206 offers a deep maroon or bordeaux red. Quinacridone pigments have relatively low tinting strength in general. For this reason, quinacridone colors are often expensive, because more pigment is required in the formulation. Quinacridone pigments have excellent lightfastness. Quinacridone Pyrrolidine Red has no known acute hazards. Overexposure to quinacridone pigments may cause skin irritation. Quinicridone pigments contain a compound found to be a skin, eye, and respiratory irritant. 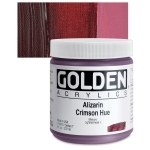 It was developed as a maroon or bordeaux red for automotive paints.